Academy Award nominee for Best Adapted Screenplay for her 2010 film Winter's Bone, Debra Granik takes us through a journey of raw human emotions in Leave No Trace. An adaptation of Peter Rock's novel "My Abandonment," the film tells the story of a young girl Tom (Thomasin McKenzie) living in the woods with her father Will (Ben Foster). Their simple lifestyle is disrupted when they are discovered by a forest ranger, forced to leave behind their home and relocate in society. 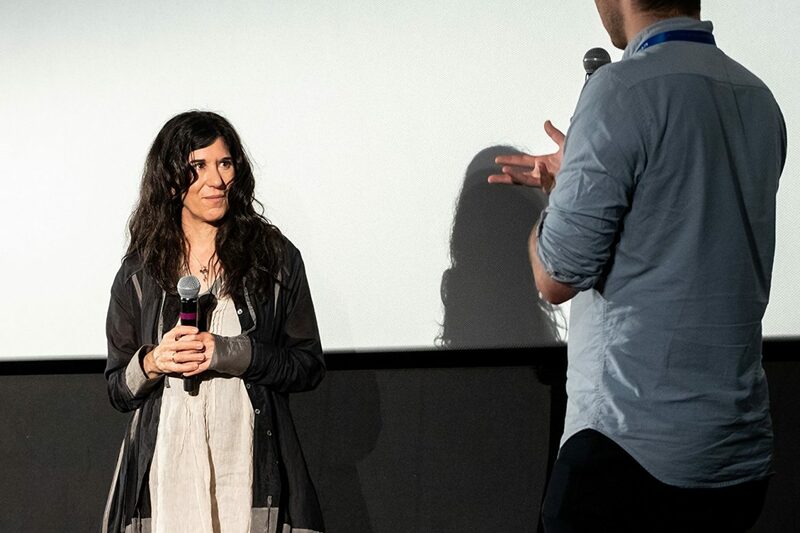 As part of the promotion for the film's national opening on June 29, Granik joined screenwriter/producer Anne Rosellini, producers Linda Reisman and Anne Harrison at the Build Series to speak about the making of the film. During the interview, it struck the audience and the host that all four seats on stage were occupied by women. The talented team spoke passionately about the lengths they went through to portray this intense yet tender story. Later on June 30, four members of the FF2 Media attended the sold out premiere with Q&A session at the Angelika Film Center. Besides the usual questions regarding he logistics of shooting this kind of story and why she decided to adopt this particular book, the most impactful moments for me as an audience member, occurred when Garnik spoke about creating tension in this quiet film. As a writer and filmmaker myself, I'm always inspired by how other writers and filmmakers are able to evoke such emotion and high stakes in quiet stories about the human condition. When speaking about creating tension in a such a human drama, producer Anne Harrison told Build Series host Ricky Camilleri, "The fact that everyone that they encounter is actually kind and wants to help and people are so conditioned to expect that they are going to do something horrible and something awful is right over the horizon. So it creates its own kind of tension." Garnik added, "generally would like to help when they can. We are living in a time that likes to perpetuates a feeling that that's not true, that the only thing we get off on is outer snark." She mentioned that this was also true when conducting research on whether or not real truck drivers would actually give a ride to a father and daughter like the ones portrayed in the film. To her surprise, "many said they would actually risk it." Although it may seem as if we are irreconcilably divided, the filmmaker's research proved that the human spirit can prevail. The message of decency is beautifully translated in the film through all the different characters that the father-daughter duo encounter while on the road. Follow links to read FF2 Media's full interview with Deborah Granik as well as our review of Leave No Trace. 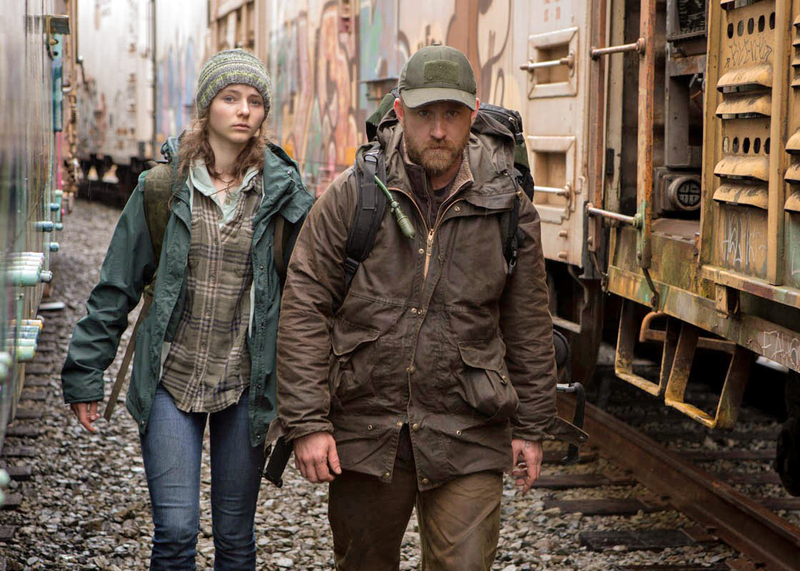 Thomasin McKenzie and Ben Foster in Leave No Trace. Photo Credit: Scott Patrick Green.